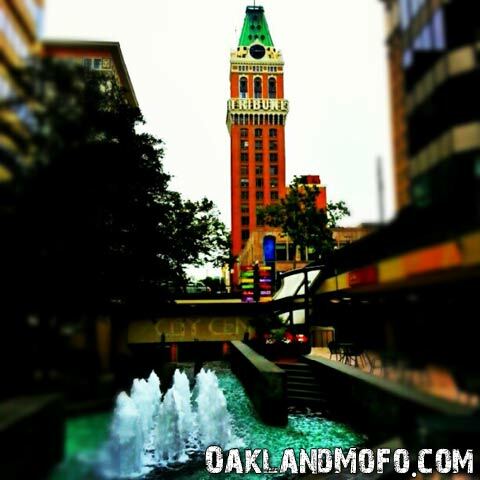 The Oakland Tribune Clock Tower is a famous Oakland Landmark. It was declared a landmark on May 4, 1976 after about 70 years of life. The Tower was actually built in two stages. The six floors of base were completed in 1907 and the clock tower section was finished in 1923. 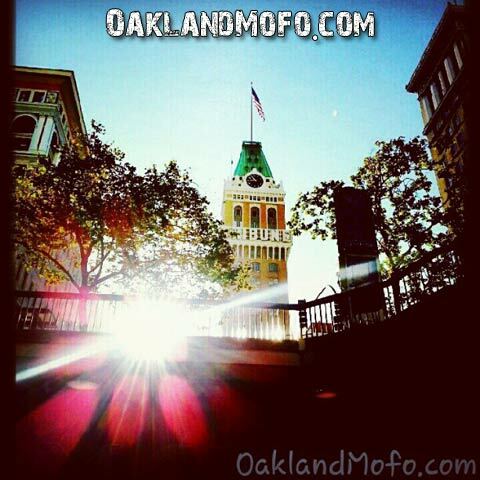 The building totals 21 floors and is Oakland’s 10th tallest building at 310 feet. If you count the spire it stands 362 feet and becomes the 4th tallest building. The internal square footage amounts to 89,251 sq.-ft. 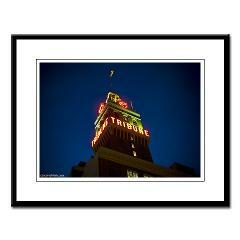 In recenter years the Tribune Building was damaged in the 1989 Loma Prieta Earthquake. 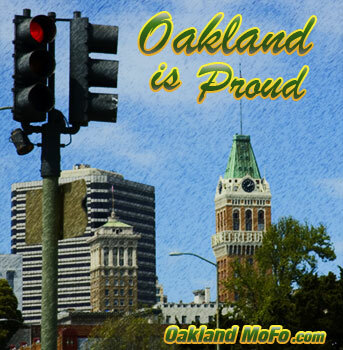 Because the building was damaged and could not be occupied, the Oakland Tribune Newspaper had to relocate. The building remained empty until 1995 when it was bought and renovated. Ten years later in 1999 the great Tower was reopened. To this date it is occupied with condos and businesses. 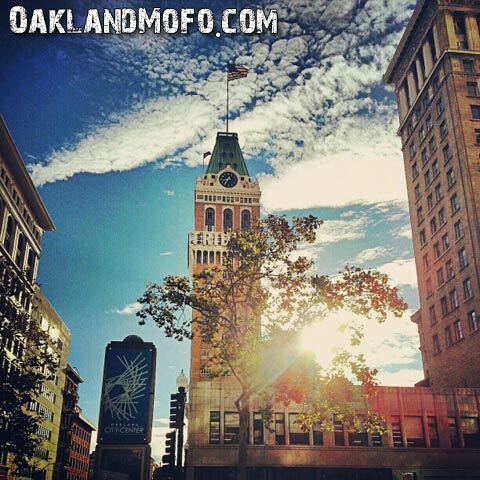 The tower is my favorite part of the Oakland skyline and will probably always be. It was recently sold for about $15 million dollars so I don’t think it will be going anywhere anytime soon. Many many years ago I snuck in and made it to the top floor and even out on the clock tower balcony. What an awesome view and feeling to be standing outside on my favorite building. Something weird though, on the top floor by the door to the outside there was a shrine of sorts. 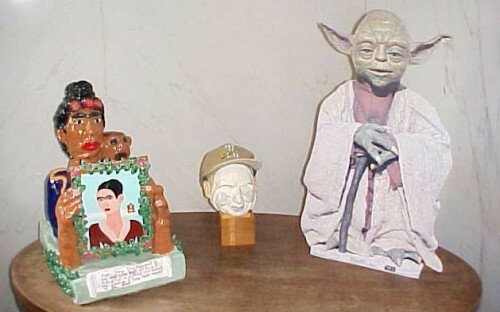 It hosted Rita, an Oakland A’s baseball player and Yoda as pictured below. 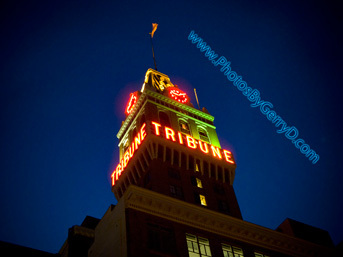 One of my favorite photos of the Tribune taken by me at night. I have this hanging in my kitchen and you can too. 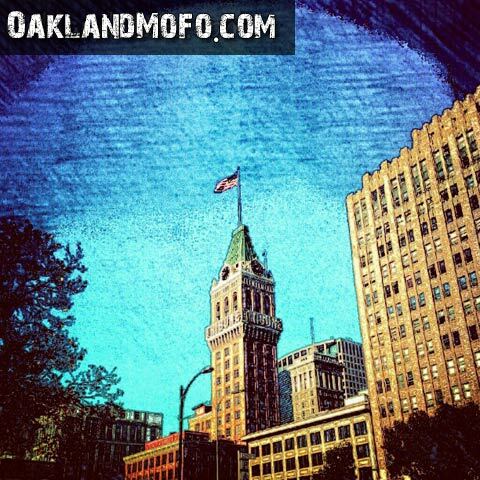 Buy the Oakland photo here. 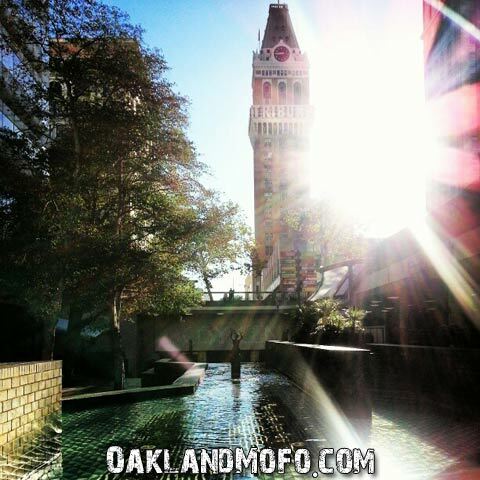 The beautiful Tribune building in it’s morning glory as I am on my way to BART to work. Same deal, another morning. Working my way to BART to SF and hoping on at City Center 12th St. Gotta remember to appreciate the Tribune. 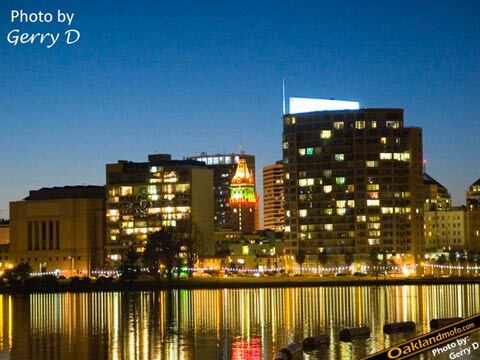 The tower as seen from across Lake Merritt. A little something I made long ago, like 2007. I should redo it. A sketch art type edit. City Center 12th St to Tribune. I took this one from 12th ST BART on my way to work. 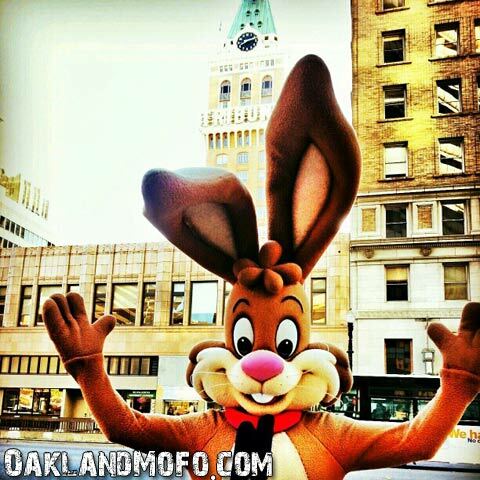 This guy hangs out downtown Oakland sometimes giving out free chocolate milk. 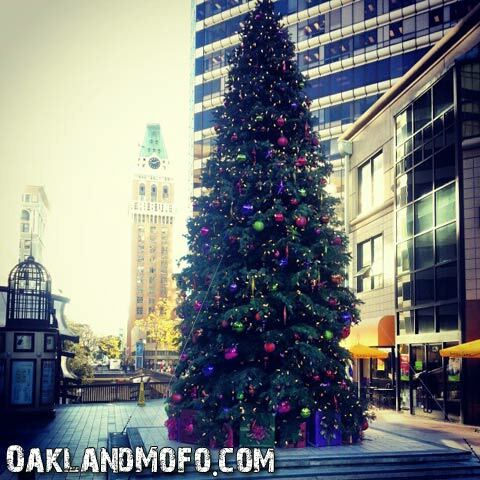 Pictured is the Christmas Tree Downtown Oakland City Center with the Oakland Tribune Tower in the background.